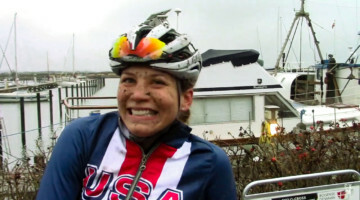 (Iowa City, IO) – For the few years, Courtenay McFadden (GE Capital/American Classic) has periodically been a major contender at the largest events in American cyclocross. Those who watch her race know that she is a furious starter, usually dictating the pace for the first three or four laps even against some of the best names in the sport. Yesterday, she held on to an all-around dominating performance, and won her first UCI race, not an easy task considering the wide array of talent that the Jingle Cross is able to attract. 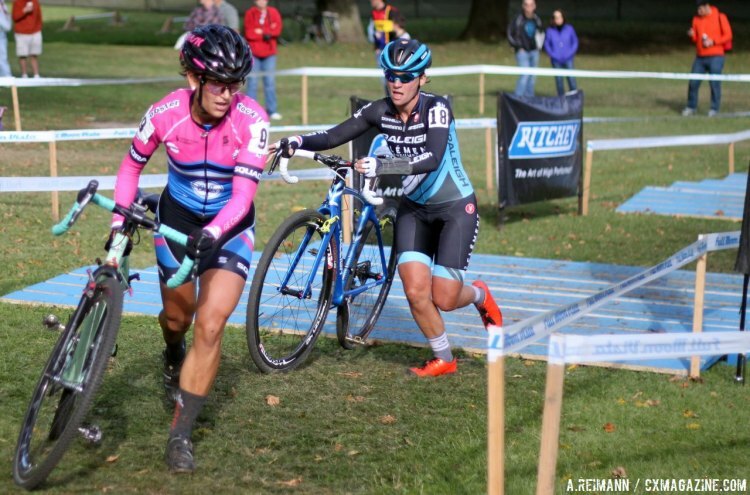 The biggest hurdle was overcoming Katerina Nash (Luna Pro), who was on a winning streak of six in a row, which included the first two days of Jingle Cross. On the third day, Nash found herself alone in the lead for a short while as McFadden was able to pull forward a late dig to bridge up to her. McFadden still had enough left in the tank to make a few moves on Nash, resulting in a win by a margin of six seconds. You can also find McFadden’s deeply personal account of the weekend and the events leading up to it in her Rider Diary. Sunny Gilbert (Michelob Ultra-Big Shark), who is also crafting together an impressive season with a UCI win only weeks before, was able to capture third place over powerhouses like Meredith Miller (Noosa), Caroline Mani (Raleigh-Clement) and Crystal Anthony (Optum-Kelly Benefit Strategies). Later, in the Men’s Elite Race, Jamey Driscoll (Raleigh-Clement) captured another C2 win. 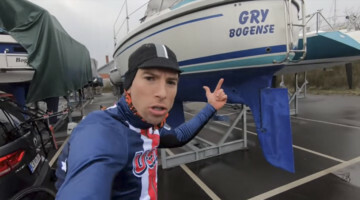 Driscoll could be the antithesis of McFadden’s riding style, as he is known as the late-breaker who builds his tempo over the last sixty minutes of racing, usually taking come-from-behind wins in American cyclocross. Drsicoll had an impressive ride on the day, crossing the finish line solo with a gap of nearly twenty seconds. 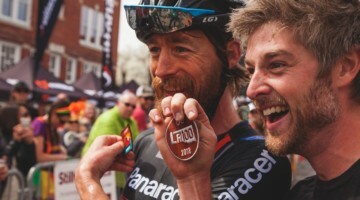 The real drama came from the battle for second place, as rising Canadian star Michael Van Den Ham (Trek Red Truck) and Kerry Werner (Optum-Kelly Benefit Strategies) took their races to the line, with Van Den Ham able to nudge Werner for second. I'm hugely excited to take home my second UCI podium with @TrekRedTruck today @Jinglecross. Great course, great organization, great weekend. Ben Berden (Raleigh-Clement), winner of the First Day at Jingle Cross, pulled in for fourth place.